For last few weeks, passengers have been venting their ire on social media as Jet Airways' flight cancellations have increased gradually due to rising number of grounded aircraft. Aviation watchdog DGCA has called a meeting on Tuesday noon to discuss with airlines the upward spiral in airfares as Jet Airways continues to ground its aircraft and cancel a significant number of flights, a government official said. According to the official, after the Directorate General of Civil Aviation (DGCA) grounded all 12 of SpiceJet's 737 Max aircraft on March 13 following the Ethiopian Airlines crash that killed 157 people, the problem of rising airfares in Indian market has "aggravated". 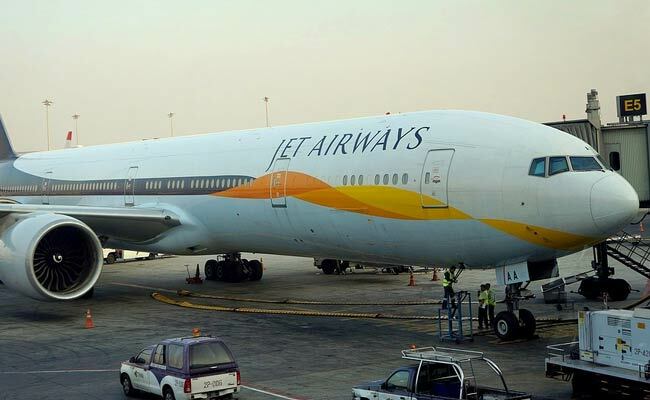 "DGCA has called a meeting at Tuesday noon to discuss the airfare rise because of significant number of cancellations done by Jet Airways in the last few weeks," the government official told PTI. Etihad Airport services, in a notification to its passengers on Sunday, said, "Jet Airways has cancelled all their flights from Abu Dhabi with immediate effect from March 18 due to operational reasons". According to its website, the airline has a fleet of 119 planes. In a filing to the stock exchanges on Monday, the airline said, "An additional four aircraft have been grounded due to non-payment of amounts outstanding to lessors under their respective lease agreements." The company had earlier said that it is actively engaged with all its aircraft lessors and are regularly providing them with updates on the efforts taken to improve the liquidity. On March 8, Jet Airways Chairman Naresh Goyal wrote to Etihad Airways Group CEO Tony Douglas seeking an urgent funding of Rs 750 crore and also warned that any delay in fund infusion might result in its grounding of the carrier. He had said that more than 50 of the aircraft are grounded amid increasing arrears of vendors and salaries to a section of employees. On March 10, a 737 MAX aircraft operated by Ethiopian Airlines crashed near Addis Ababa killing 157 people, including four Indians. This was second such crash involving the 737 MAX aircraft in less than five months. In October last year, an aircraft operated by Lion Air crashed killing over 180 people in Indonesia. Therefore, the DGCA on March 13 grounded all 12 of SpiceJet's 737 Max aircraft.